The Japanese island of Hashima, also known as Gunkanjima (or “war vessel”) because of its shape, falls under the Nagasaki Prefecture in Japan. 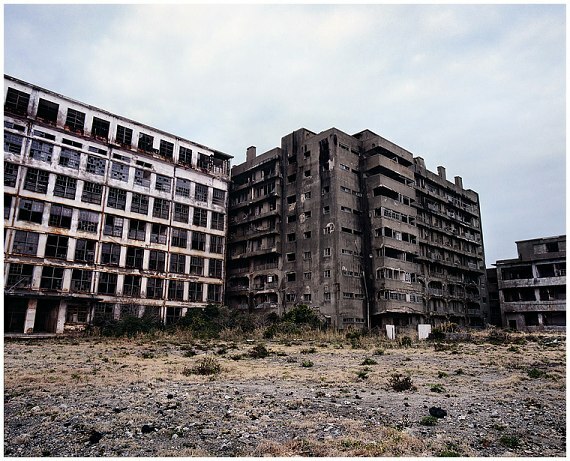 Used for quarrying coal, the island experienced extremely dense urbanisation accompanied by the highest population density rate ever recorded worldwide. 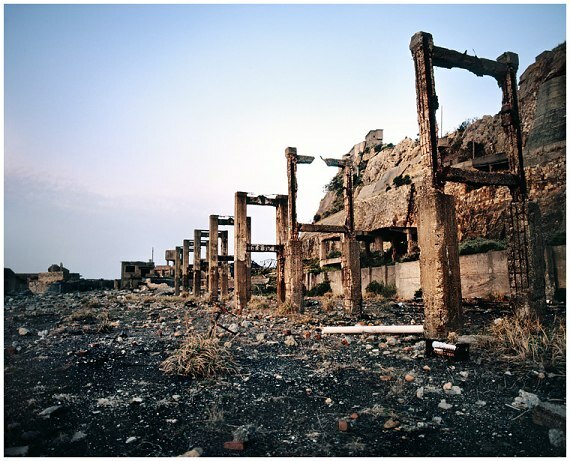 When the coal mines closed in 1974, the island watched as its inhabitants suddenly departed, leaving it to abandon and desolation. 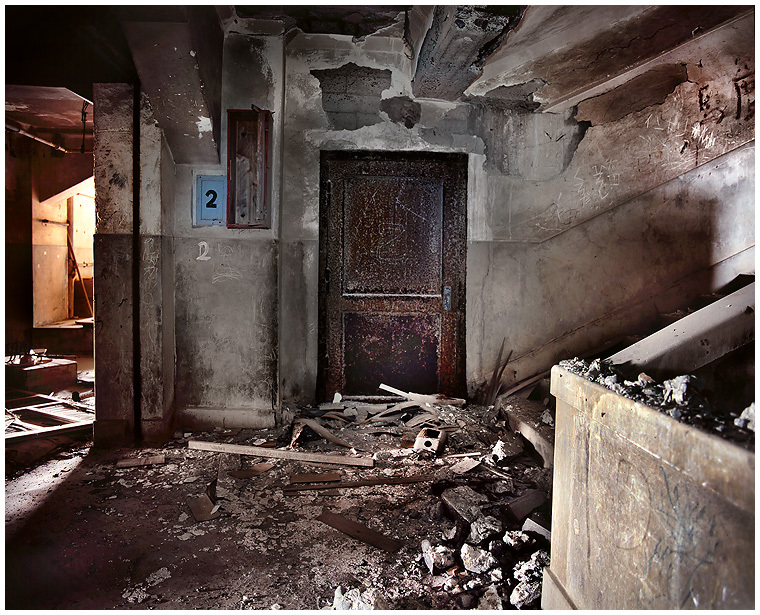 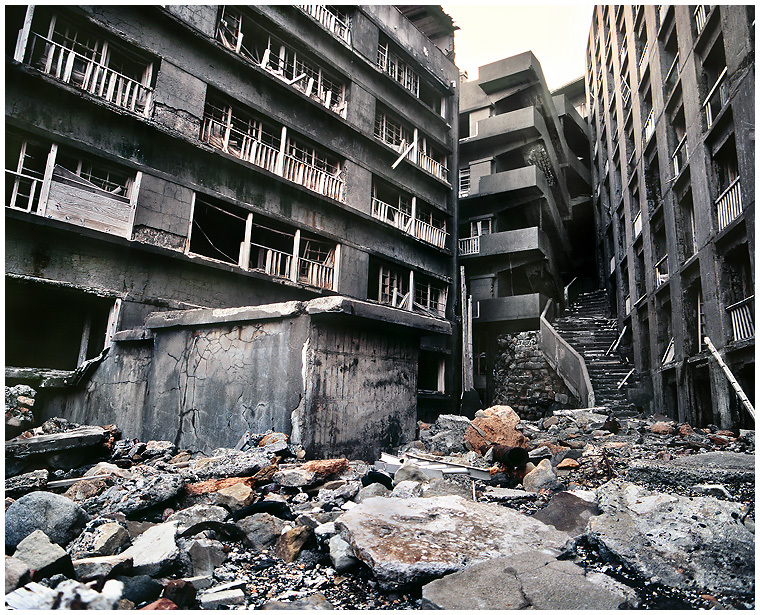 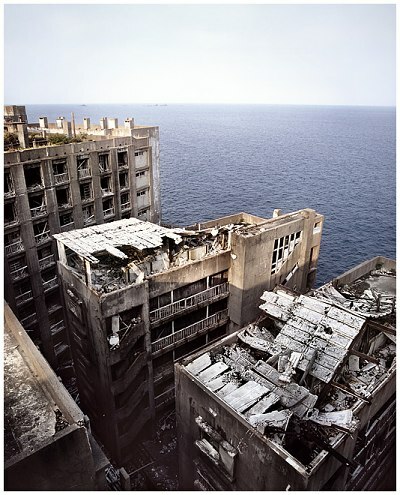 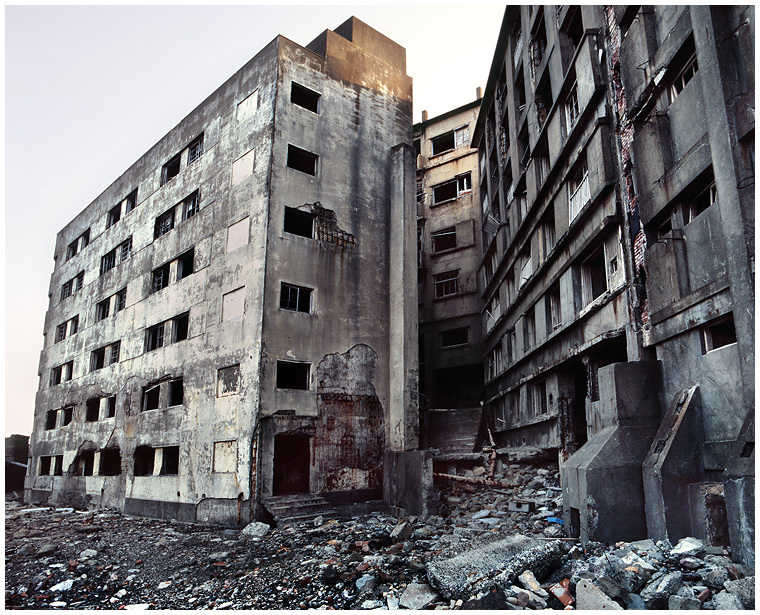 Contrary to most deserted places, the island of Hashima bears no traces of human life following its brutal abandon. 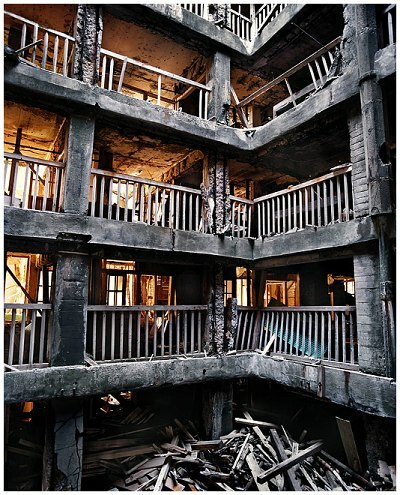 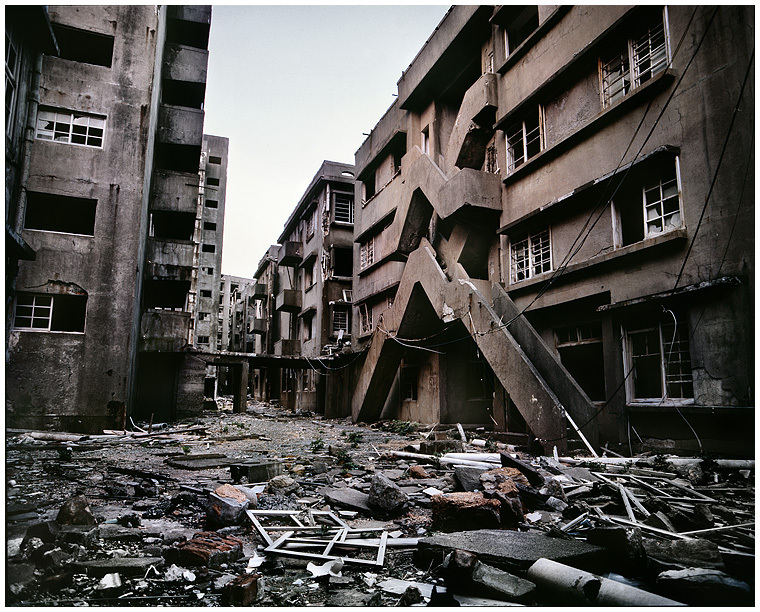 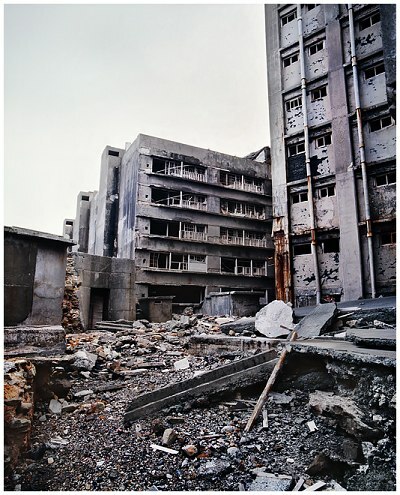 No graffiti or signs of destruction wreaked by Man exist: the Hashima of today has been shaped by the elements and the passage of time alone. Picking my way among the ruins, isolated in the middle of the ocean, and the fragments of the lives of men, women and children, I was struck by the island’s silence. 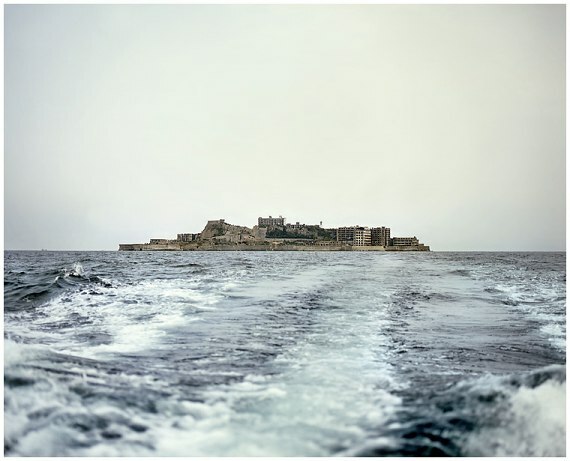 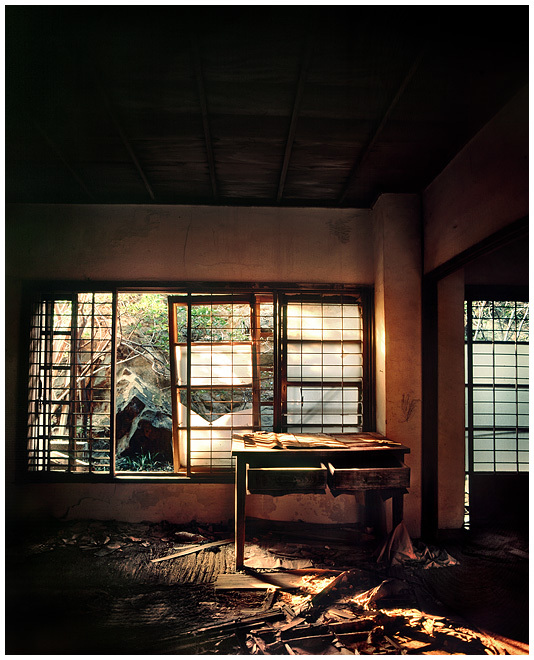 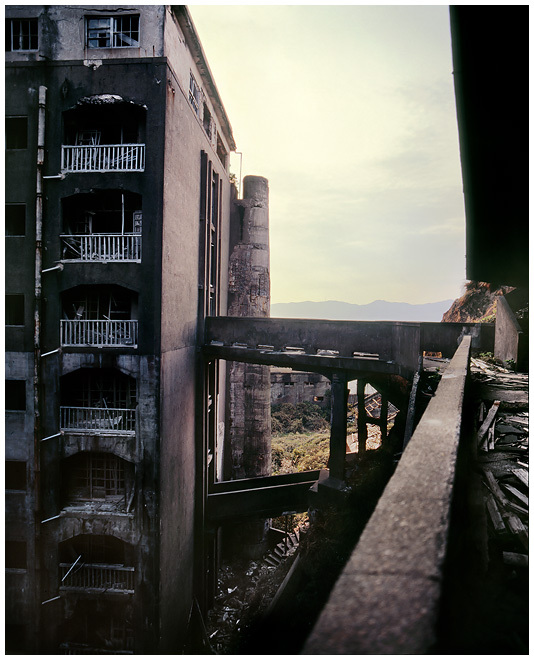 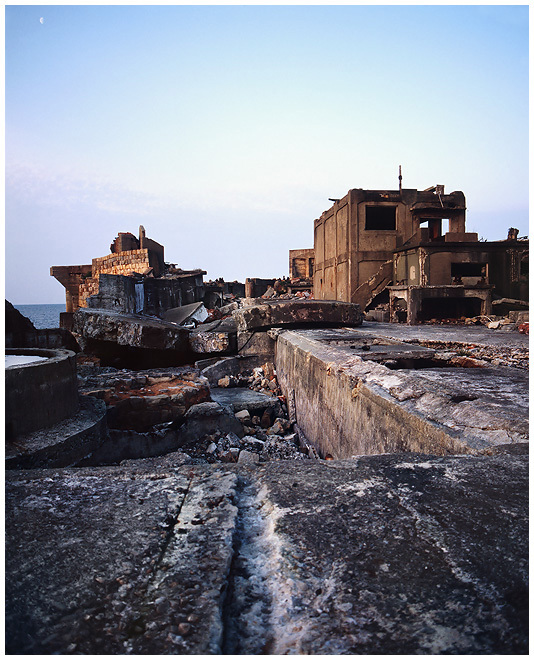 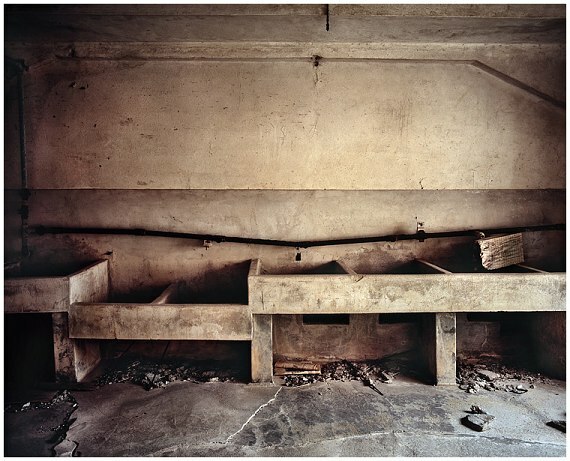 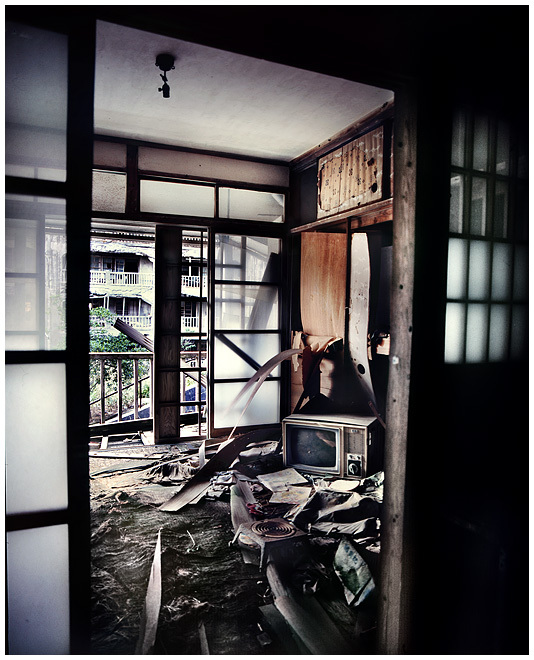 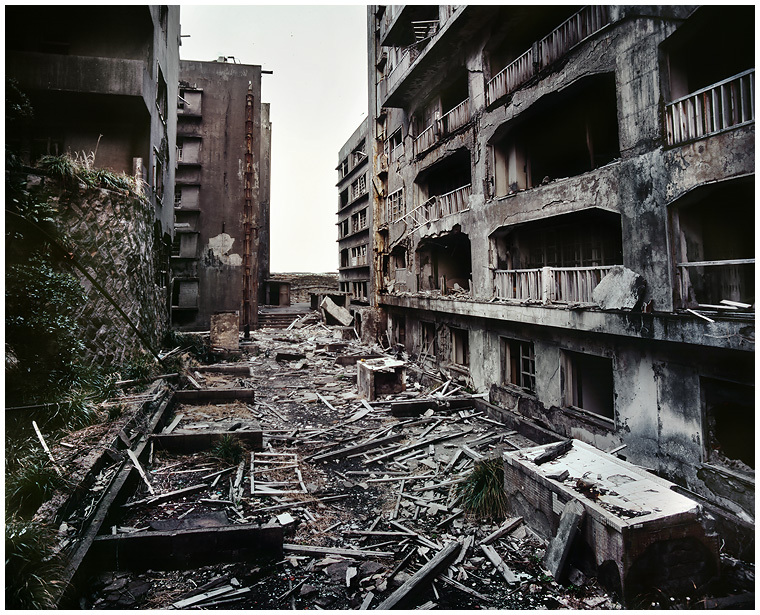 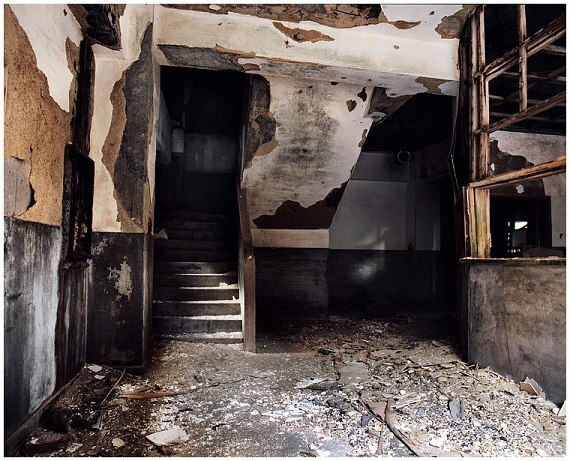 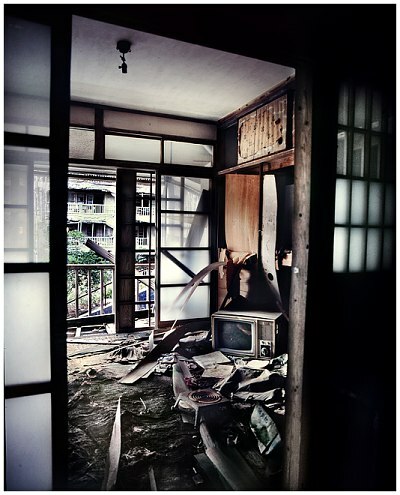 I will thus refrain from adding any further details on Hashima, hoping that the photographs alone will be enough to express the spirit of these desolate spaces.